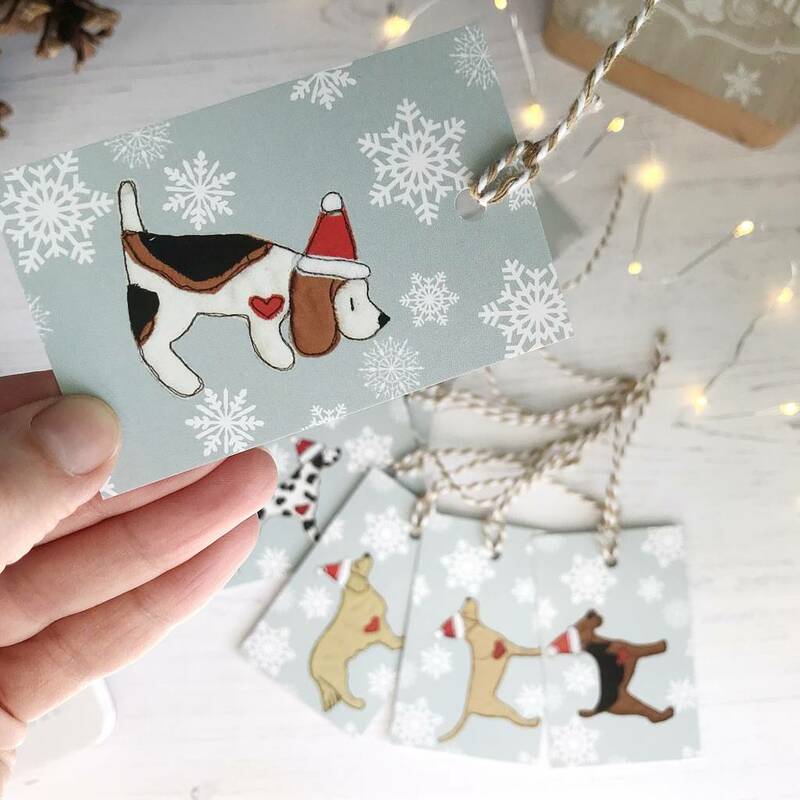 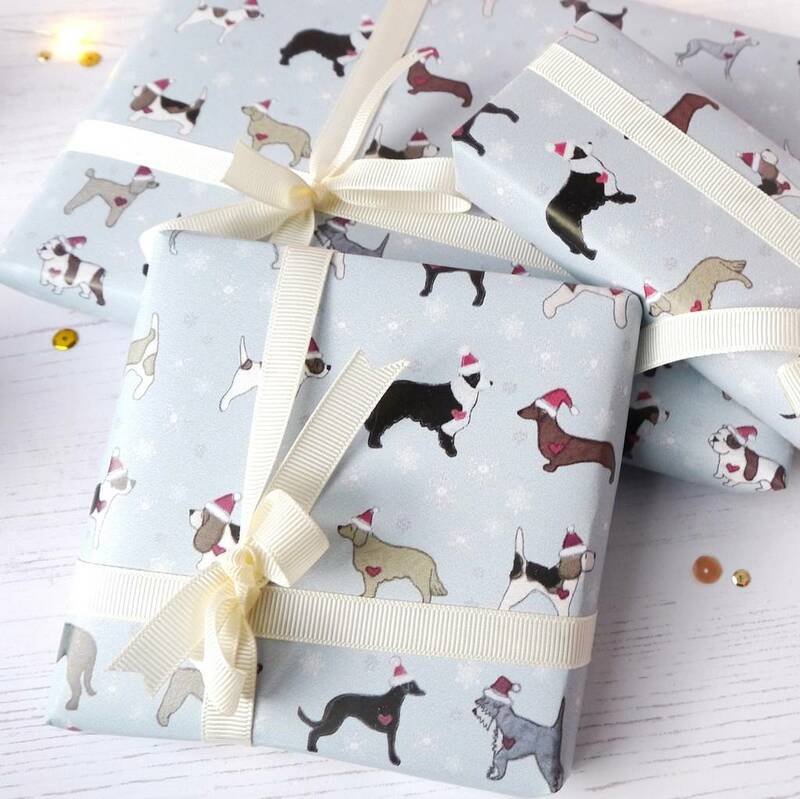 Featuring a selection of my trademark dog breeds in their Christmas hats, this is the perfect gift wrap for dog lovers and their pets. 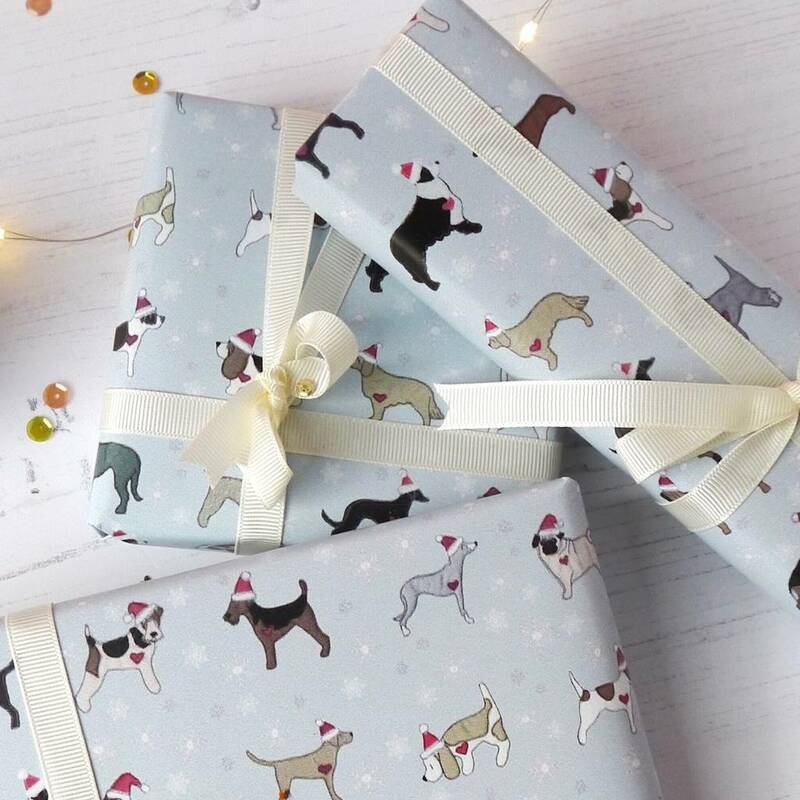 A delightful Dog themed Christmas gift wrap for anyone who loves dogs and beautifully wrapped presents! 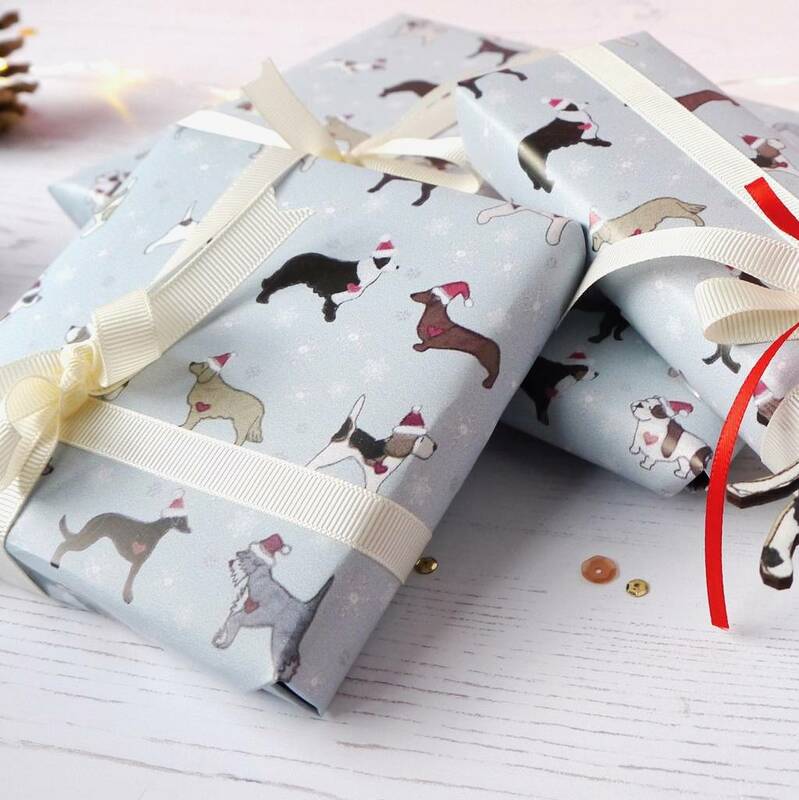 This A2 sized sheet of wrapping paper has a bluey grey snowflake themed background and features 40 different dogs; border collie, dachshund, fox terrier, beagle, pug and weimaraner to name just a few! 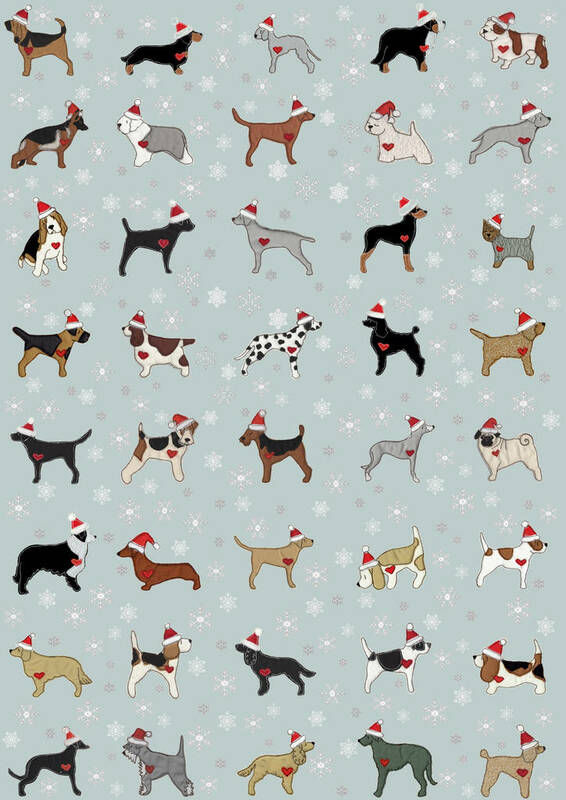 The sweet dog characters are all wearing their festive Santa hats and feature my trade mark little red heart. 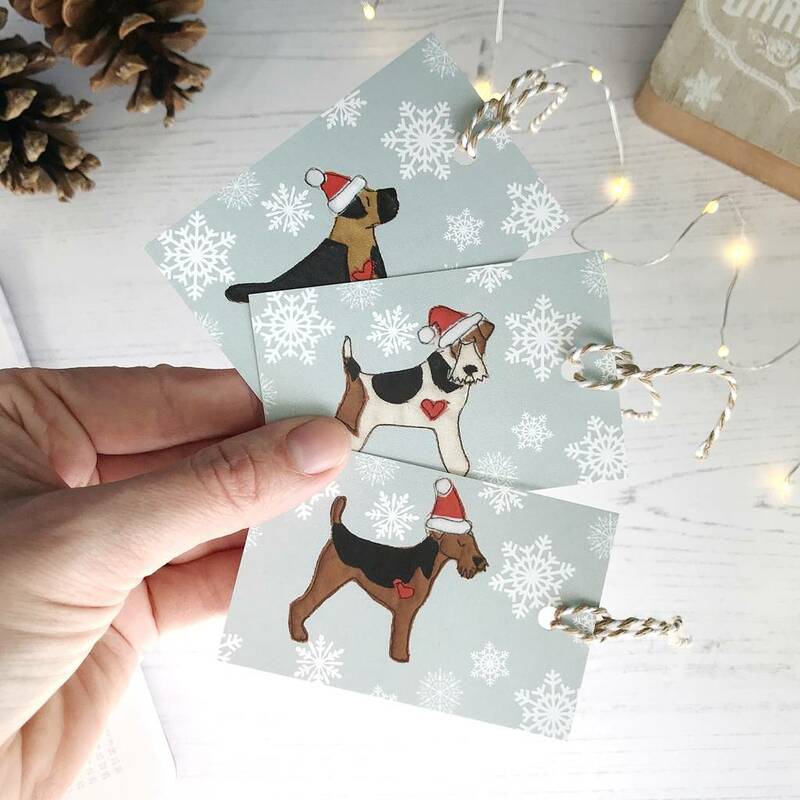 Perfect for the festive season. 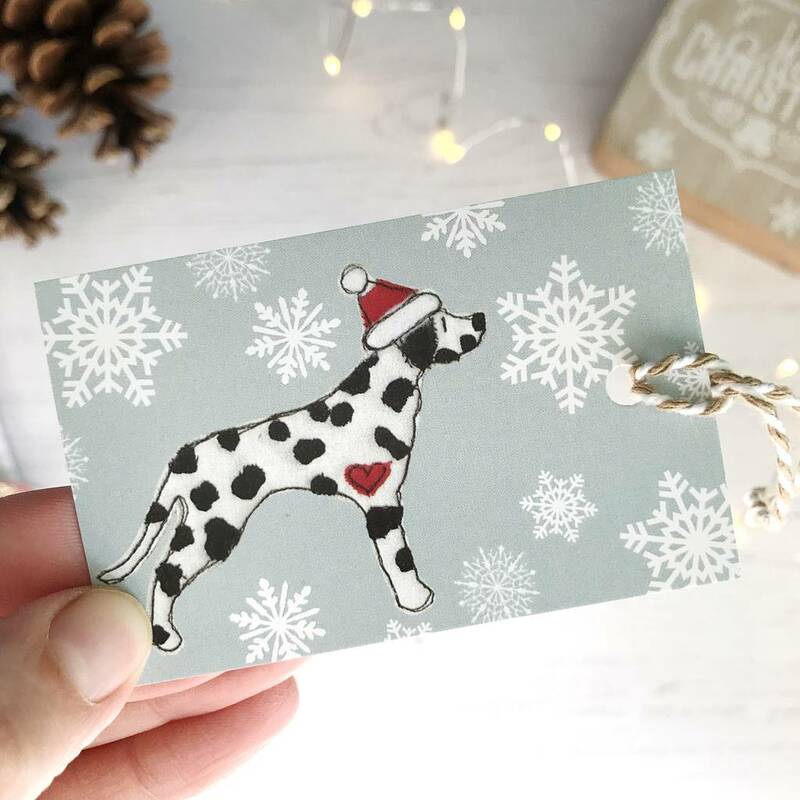 Why not add a finishing touch cream or red ribbon. 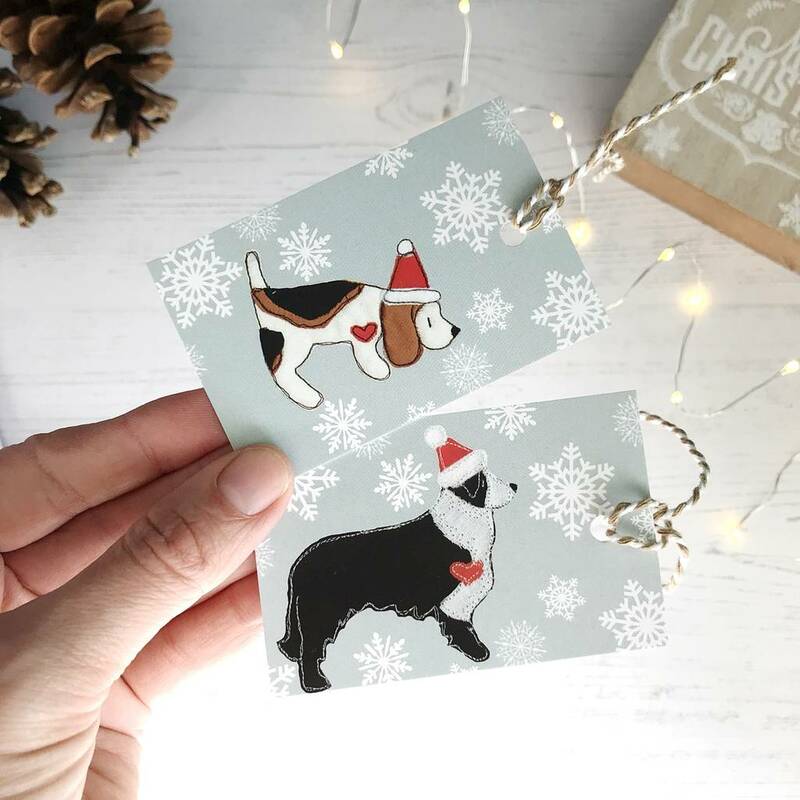 A range of co ordinating wooden Christmas decorations featuring some of the breeds in this design are also available. 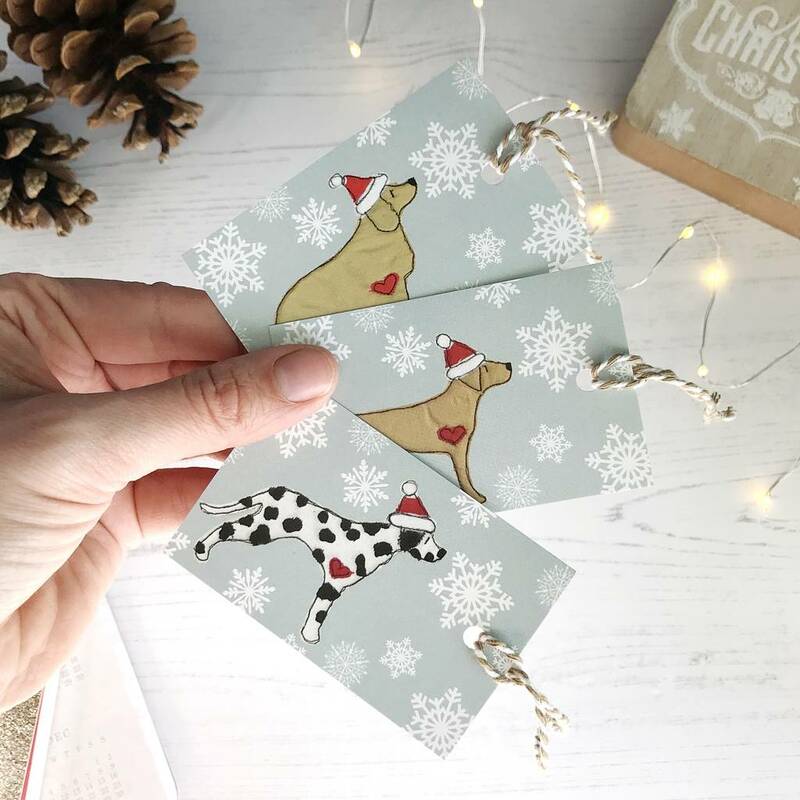 100gsm 100% recycled paper, printed by a UK based eco-friendly printers. Featuring a printed design of my own sweet fabric stitched dogs. 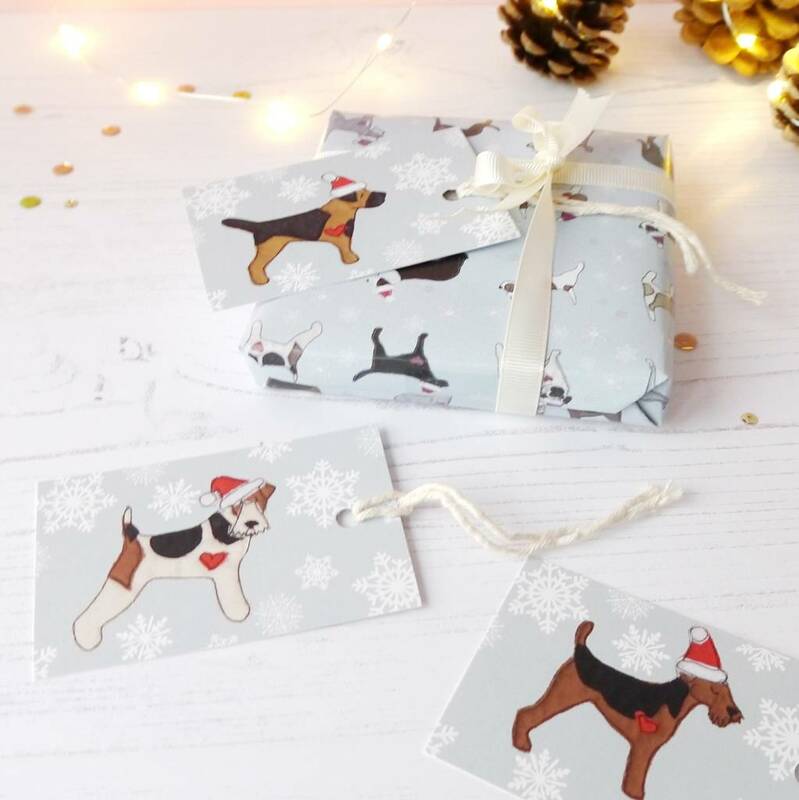 Each sheet will arrive folded and packaged in cellophane. 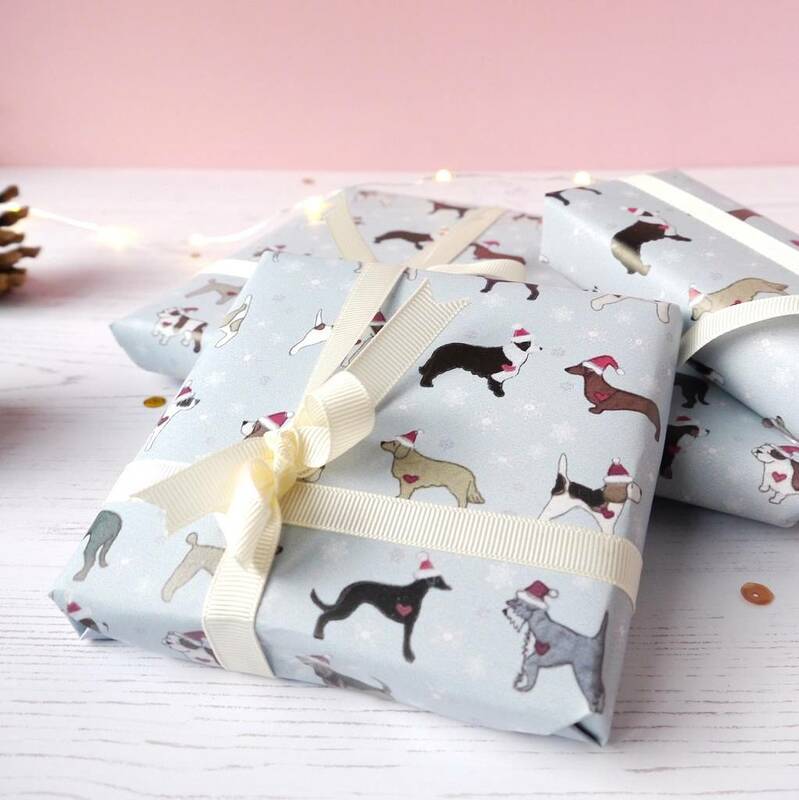 This is an A2 sheet of gift wrap measuring approximateky 59cm by 42cm.